I admit that I do not need anymore lipsticks because my lipstick drawer is seriously exploding with lippies in all shapes, sizes and colours, but how can you resist new releases? 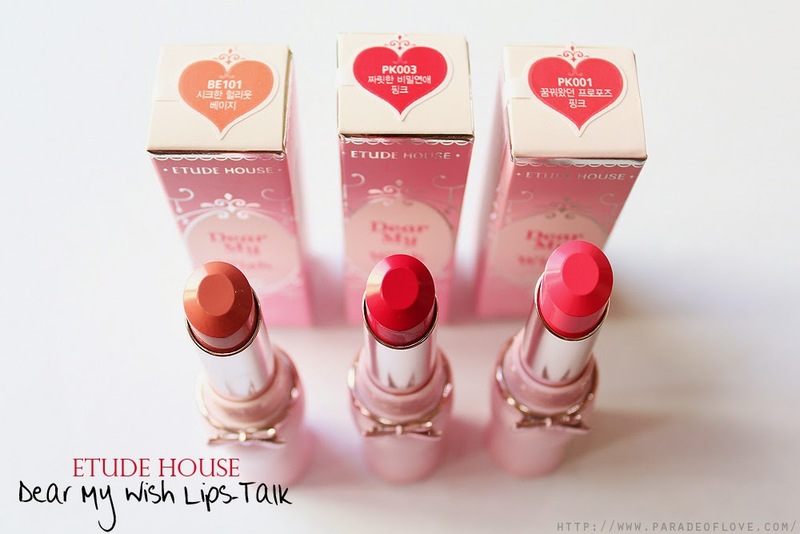 😉 K-Beauty brand Etude House has launched its new line of lipsticks endorsed by K-Pop star Krystal from popular girl group f(x) – Dear My Wish Lips-Talk! This lipstick collection tells a romantic story which grants the wish of a girl when a lipstick shade is applied. 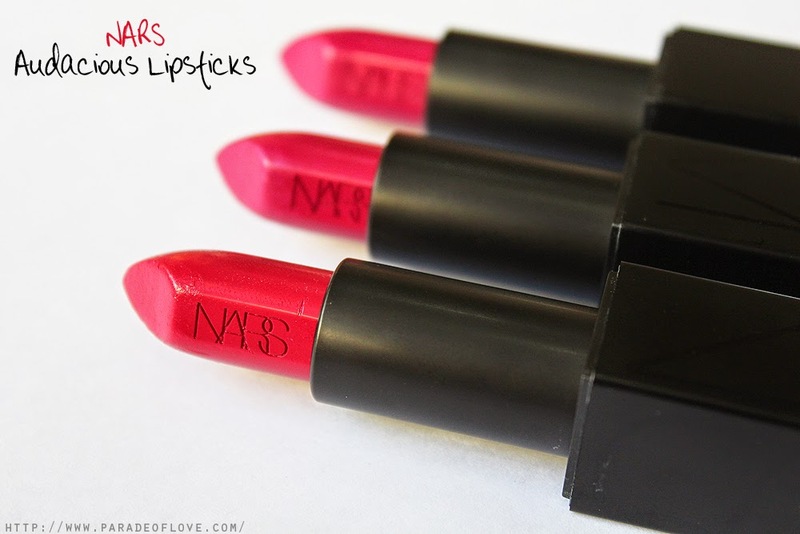 Hence, these lippies come in very cute and fanciful names for you to connect with! As with Etude House’s usual pink lipstick packaging, these never fail to make me feel pampered like a princess! Apparently you could even take the ribbon part out to wear as a ring, how versatile! Formulated with increased plant skin care ingredients, these lipsticks melt into a liquid-like texture upon application for a soft yet surprisingly vivid colour. 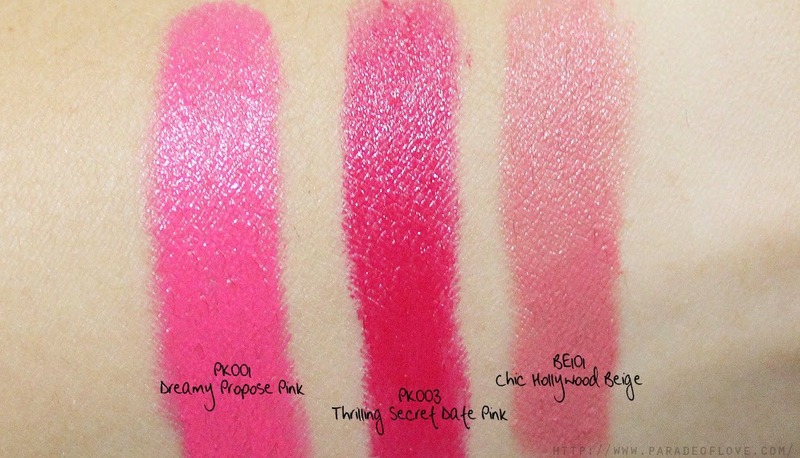 Out of all 3 shades, my favourite is definitely PK003 Secret Date Pink because I find it to be much more moisturising than the other 2 lighter shades. 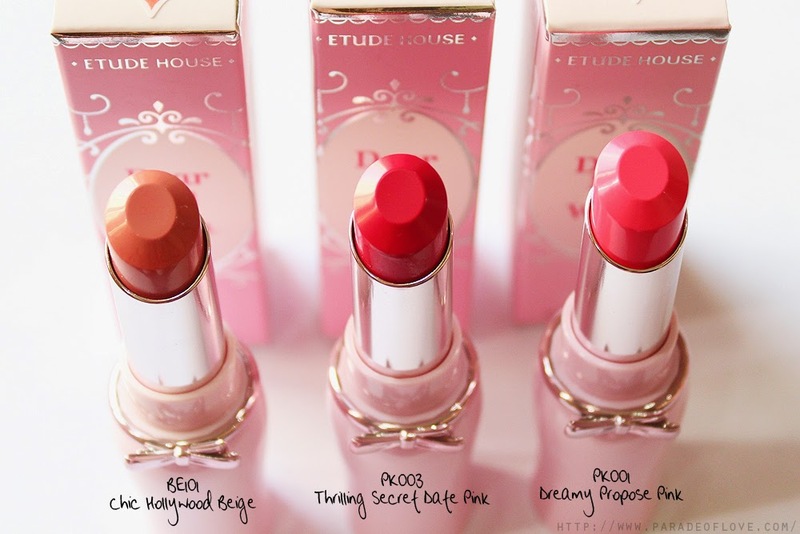 I remembered coming across these last year when I was in the store swatching (on my hand and lips) and I found them to be different from the usual Etude House lipsticks. They are indeed highly pigmented with high shine, and feel a lot more velvety smooth when applied on the lips, especially so for the darker shades. However, for the lighter shades, I had to make sure my lips were already moisturised before applying the lipsticks, else they would look like I slabbed on paint. 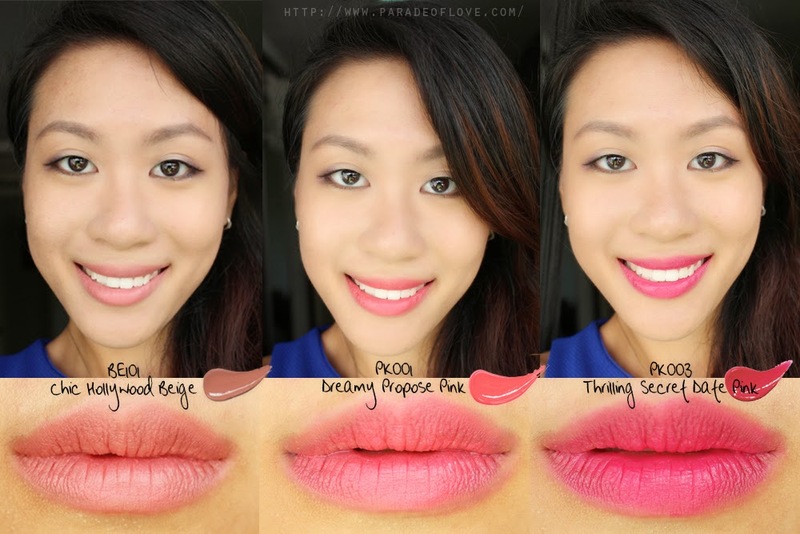 As you can see from my lip swatches, they might look matte/dry but they are not the case. I usually use a finger to blend in the shades into my lips, hence when taken with a high resolution camera, the lips look like they are dehydrated. Just for your information, I found all the lipsticks names very interesting hence I decided to list them all! Disclaimer: Products were sponsored by the respective brands for review. The above review is based on my true and honest opinion without influence from others. 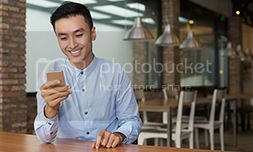 It also contains some information from the brand itself. 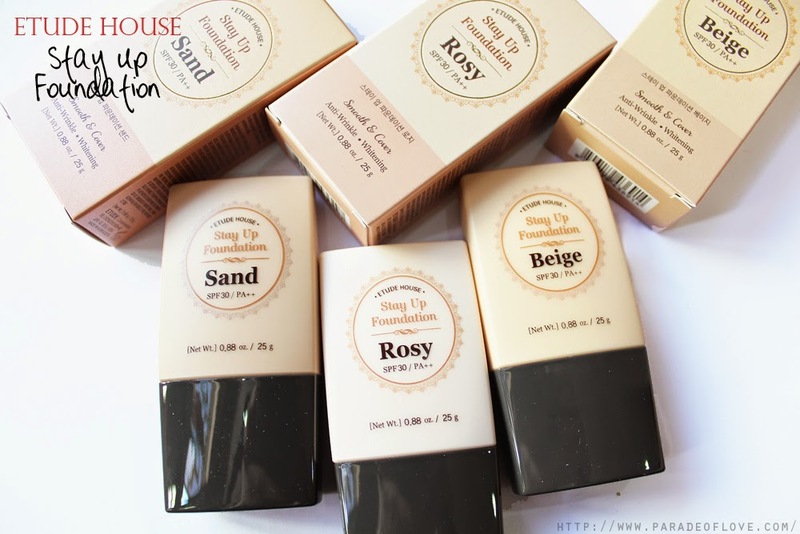 Etude House recently launched a new foundation, the Stay Up Foundation. 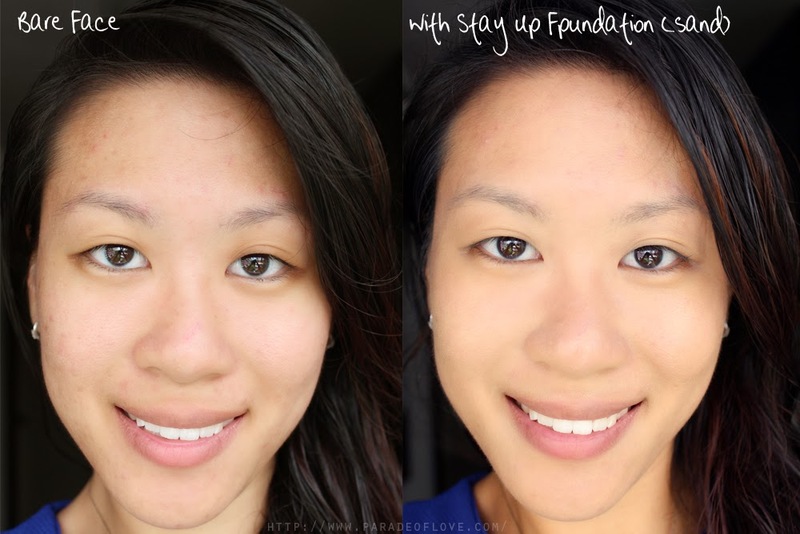 With the idea of real beauty in mind, the Stay Up Foundation is developed to smoothen the skin’s texture together with a decent coverage and moisturising properties. My shade is in Sand, slightly lighter than my current skin tone due to all that tanning in Australia’s summer weather. 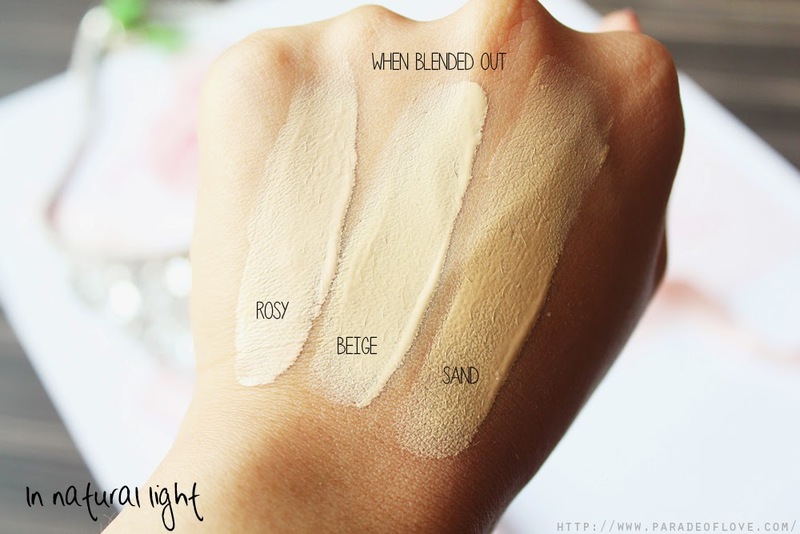 I think that this shade will be a good fit for my original medium skin tone. In terms of coverage, I would describe this as medium to semi-full coverage. For covering my deep acne scars, I definitely require a dab of concealer on top of using this product. The finish is that of a dewy one, given that it’s targeting dryness and cakiness. Hence, I find that this foundation is slightly towards the oily side for me and my skin oiled up after 3-4 hours of wearing. Even though I am not fond of the oiliness I experience after a couple of hours, I must say that it hydrates my skin pretty well. Given that the surface layer of my skin is rather dehydrated, the Stay Up Foundation works pretty well in ensuring my skin doesn’t get dry like most matte foundations do. I guess the reason why the foundation is hydrating is because it is formulated with Emelass, a sea flower that holds moisture, Raffinose which works as a moisture barrier, and Palm (Astrocaryum Murumuru) Seed Butter, which adds flexibility for a healthy skin texture. 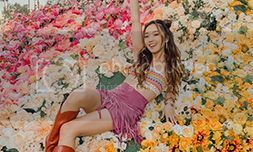 There are 3 shades that Singapore is focusing on – Rosy (for pale/pink-tone skin), Beige (for light-medium/yellow-tone skin) and Sand (for medium skin tones), probably because these are the ones that cater to our asian skin tones. 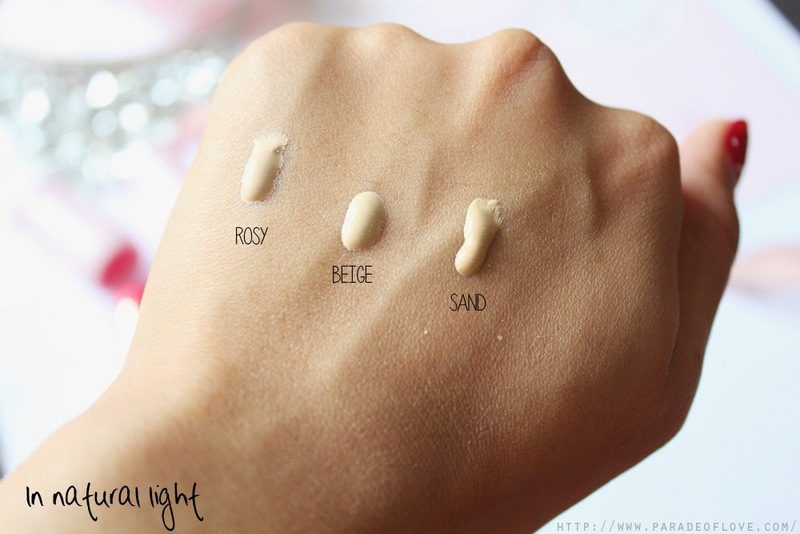 As you can see, when blended, Sand suits me the most whereas the other 2 are way way lighter than my skin. I could probably use them as cream highlights! Anyway, here’s a round up of my 2014 Beauty Favourites – a highlight into the products that I have been using and loving for the year. 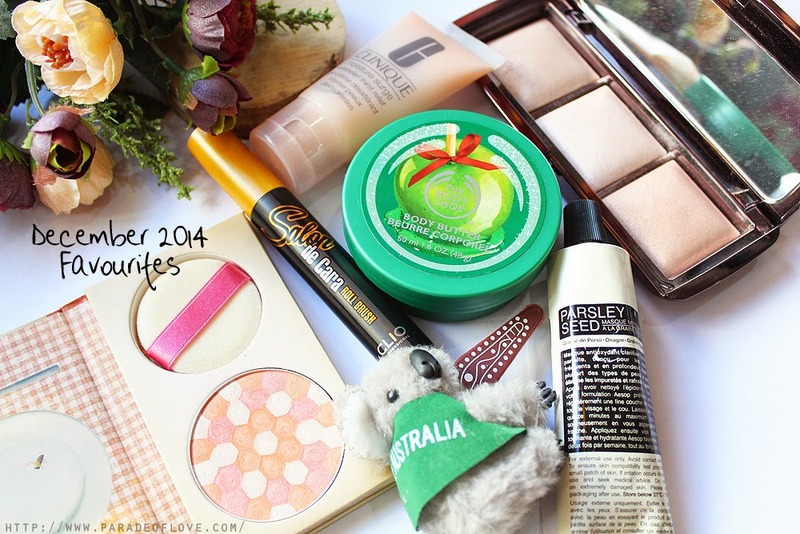 The products may or may not be launched in 2014 because this is a round up of my personal beauty picks for the year. 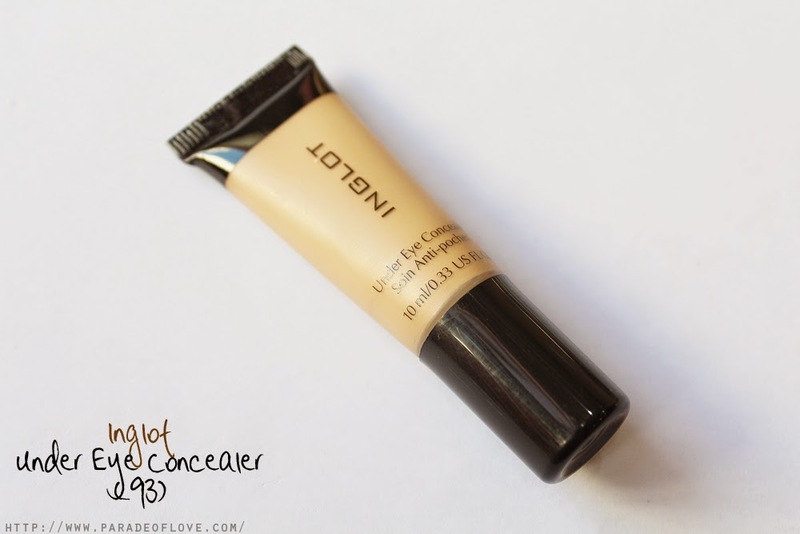 Probably one of the best hydrating makeup base/primer I have tried! 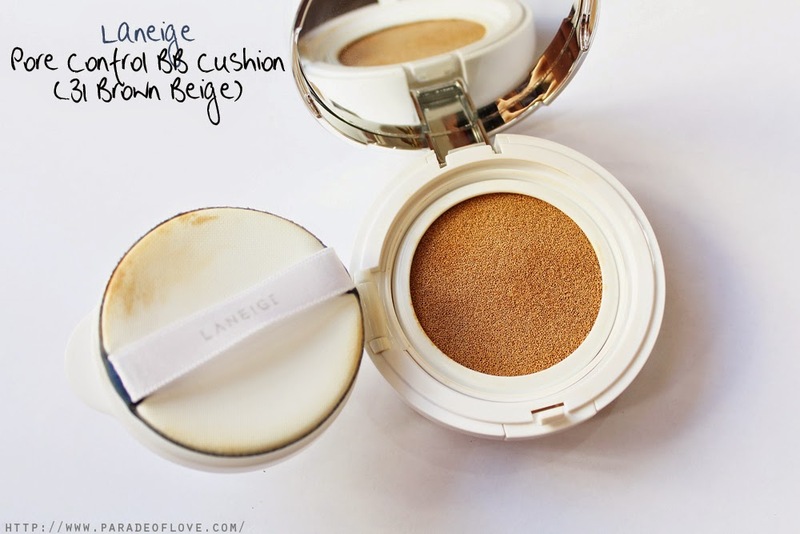 Whenever I find a base makeup product that doesn’t break out on me, I tend to be loyal to it. This primer is currently my favourite and I do use it almost every day, even as a sunscreen when I’m heading out without the intention of putting makeup. It generally does a good job in cancelling out the redness on my skin, making my skin appear more radiant and healthy. When it comes to foundation, I am very particular, partly because I need to find something that doesn’t irritate my skin. 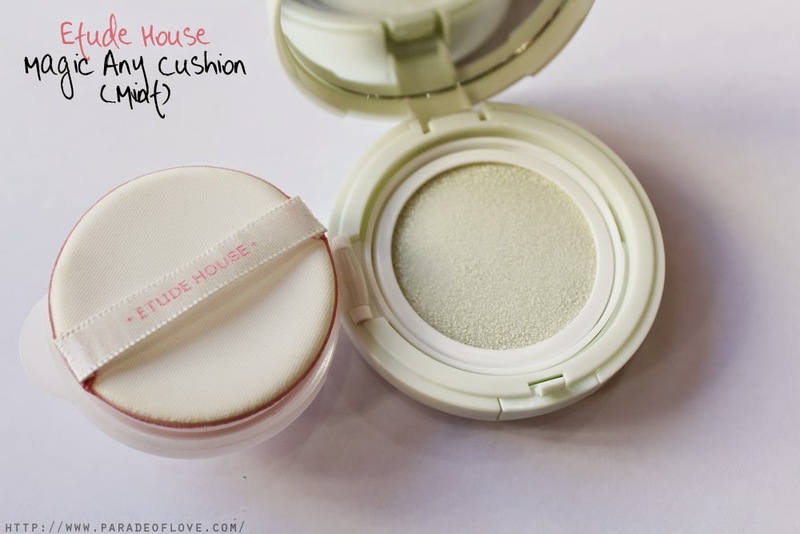 Ever since I switched from my all-time favourite foundie, the Estee Lauder Double Wear, to this BB Cushion, I must say that this product has become my holy grail! 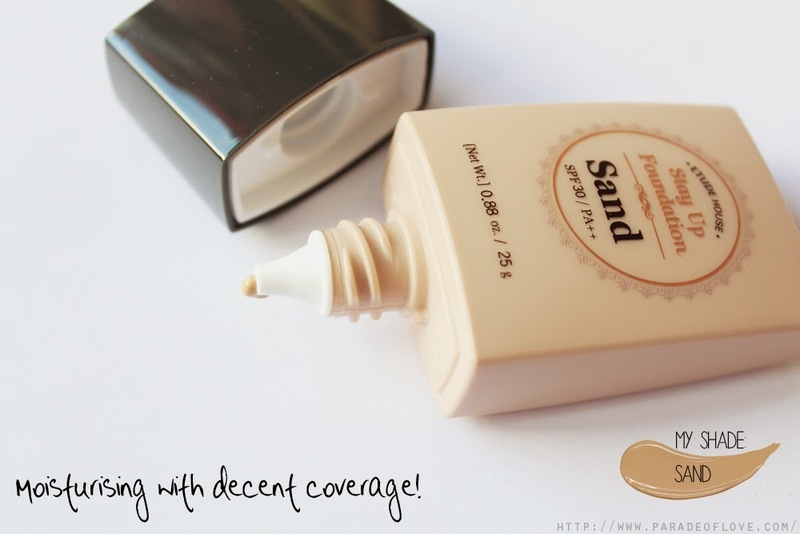 It gives a very natural and buildable coverage, yet doesn’t dry out the skin. I do recommend to match this to your skin tone because it might appear slightly paler when you pat the product onto your skin using the puff. You don’t want to be seen with a white cast while taking photos. 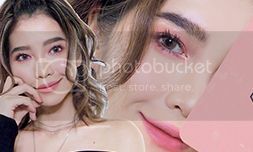 You know how sometimes concealers are too harsh or tend to dry out the skin when you apply it around the under eye area? I experience that with a lot of concealers and thought that I should try out this Inglot one, specially made for under eyes. I got it in the darkest shade I believe, so as to cover the dark eye circles more effectively. What I really like about this is that it is hydrating enough for the delicate skin around the eye area. 2014 was also a year I made friends with this awesome brand, Guerlain! 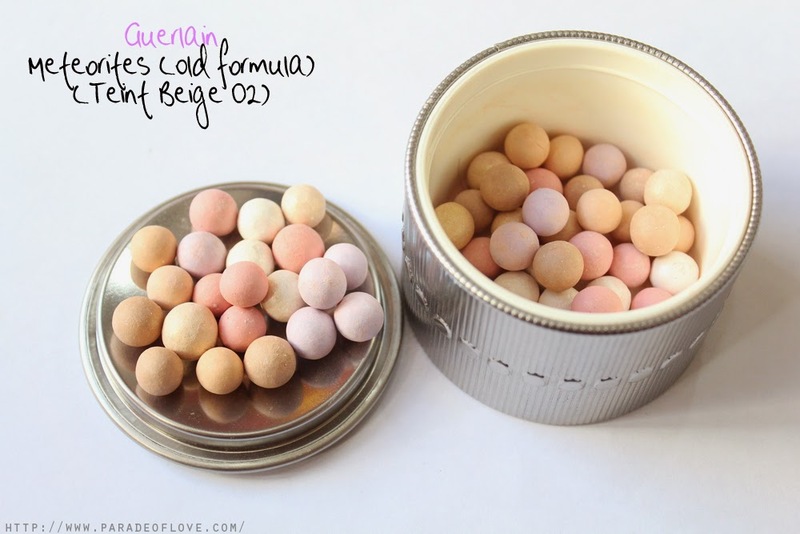 Before I tried anything from the brand, I always see beauty bloggers posting a can of little round balls that look really interesting! Due to the hefty price tag, I never got myself any Meteorites. However, I must say that I am truly impressed after trying them out! I got myself the old formula though because the newer formula has a tad more fine sparkles in them and I wanted a fairly matte setting powder. When dusted all over the face, it gives an airbrushed look, blurring out any flaws you have! It was shortly after I got this that I bought the Guerlain Meteorites in 04 Dore (as a blush) and the Christmas 2014 Perles D’Etoile (as a bronzer). 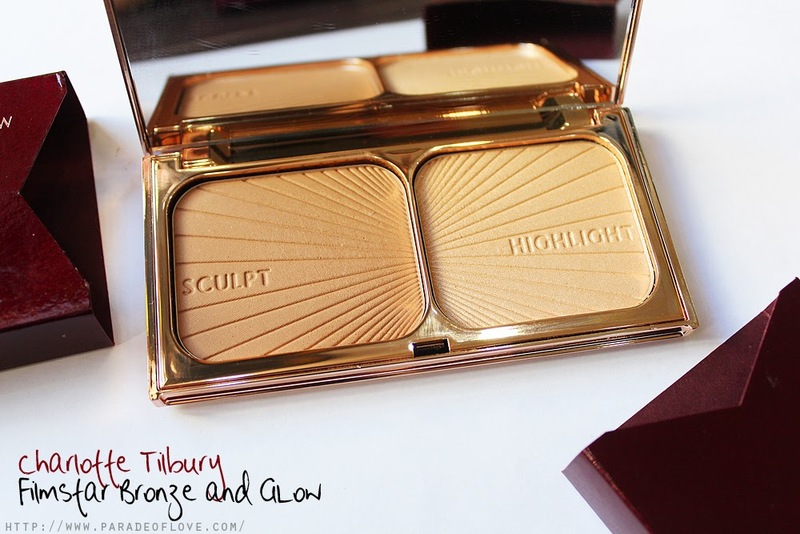 Bronzing and highlighting has never been so easy for me with this convenient palette! Even though it comes with a hefty price tag, I really like that the bronzer is matte and the highlight shade has a subtle sheen to it that makes your cheekbones glow without having any sparkles or shimmers. Housed in a gorgeously royal metal casing, this palette is worth that splurge if you are a contour junkie! For those residing in Singapore (or countries that don’t carry this brand), head over to www.netaporter.com to get your hands on this baby! I know you are probably bored of me talking about this blusher already but I have to say that it’s my current go-to! 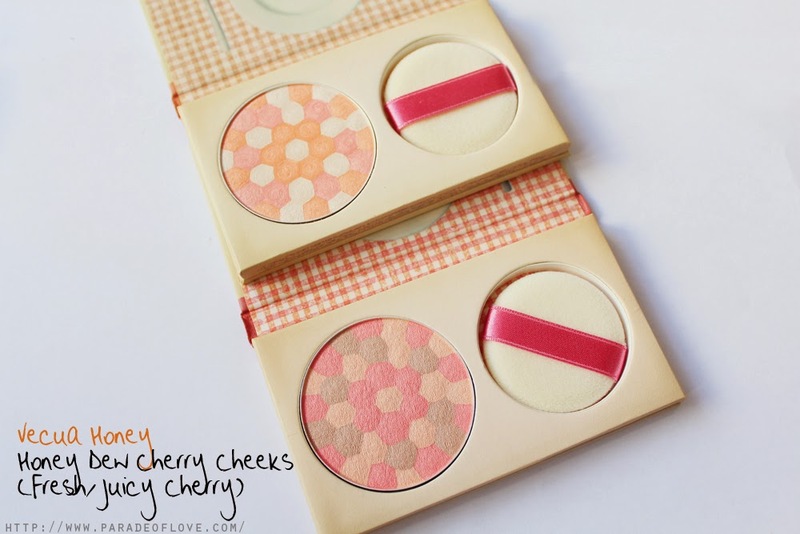 The plus point of these blushers for me is that they smell like sweet cherries which never fails to brighten up mood whenever I am applying these on! I use Fresh Cherry for a cute orange glow and Juicy Cherry for a healthy pink flush. Available on www.vecuahoney.com.sg, while stocks last! If there is one drugstore eyebrow pencil I have to pick, it would definitely be the Solone brow pencil shown here! It has the softest spooly attached to the pencil and I find it very functional! Even though I don’t see much of a difference with the 2-tone lead, I do enjoy using it quite a lot. Another thing is that there is a lot of product in there which can last you for at least a few months before you need to replenish. 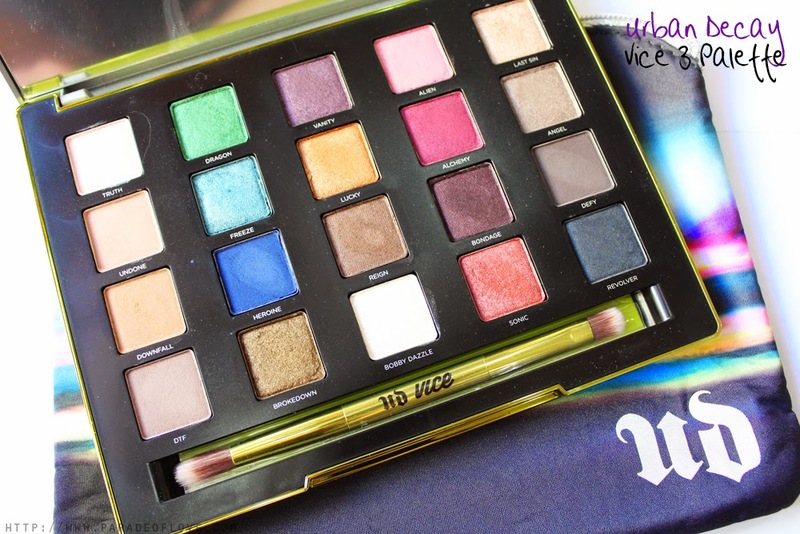 As you would have known by now, my one true love for eyeshadows is none other than Urban Decay! Even though I am a die-hard UD fan, I must say that this palette is a bit more powdery than the usual palettes UD offer. Nevertheless, I still enjoy using this palette for it provides a great range of shades for you to play with! Most shades are still buttery smooth when applied and I don’t experience much fallout with these too! This is another product that I have been ranting on and on about, I know. 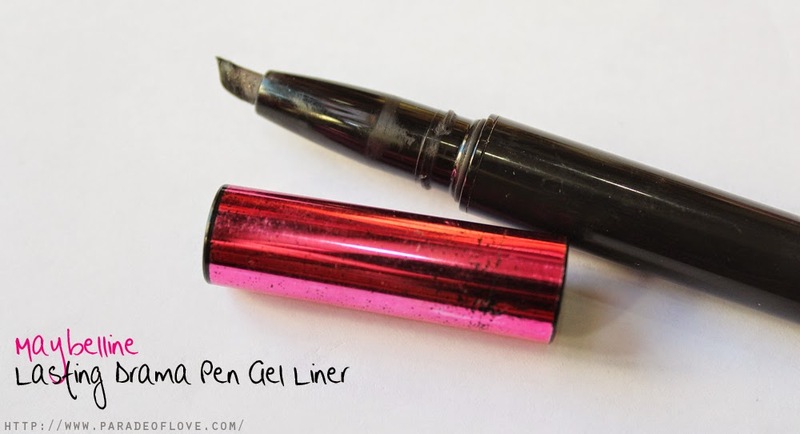 Being the first eyeliner with a slanted rubber tip, I feel that it revolutionised the gel eyeliners category. However, it definitely has been overshadowed by its competitor. I would just like to mention that this is the best gel eyeliner for me, simply because it comes in a pen (convenient for everyday use) and it is also smudge-proof and very very black. 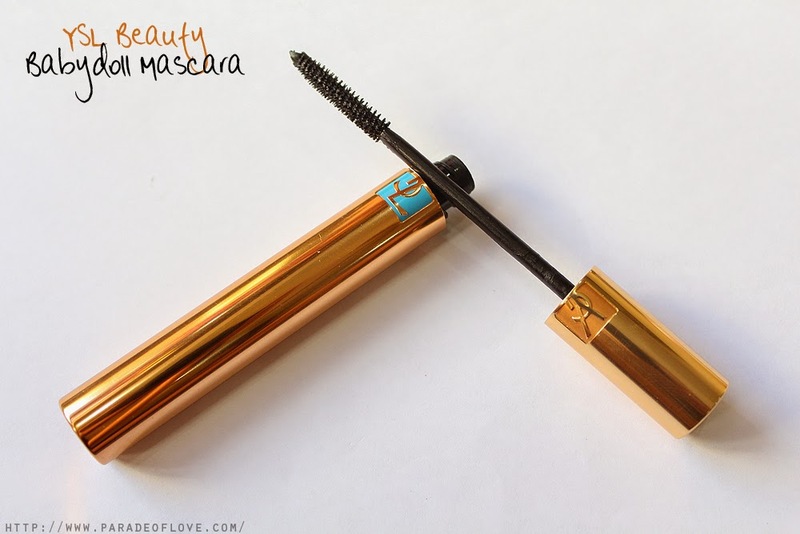 A mascara that makes my lashes separate and spread, as though I am wearing falsies! It’s rare for me to encounter mascaras that hold the curls on my lashes and this is by far one of the best, alongside my old flame, the Urban Decay Cannonball. It’s waterproof and comes in a drier formula which is best for holding curls! Tried 5 shades out of the 40 from the Audacious range and I am impressed! I was wearing Michiyo (hot bright pink) out one day and it stayed on my lips even after eating my lunch of curry rice! 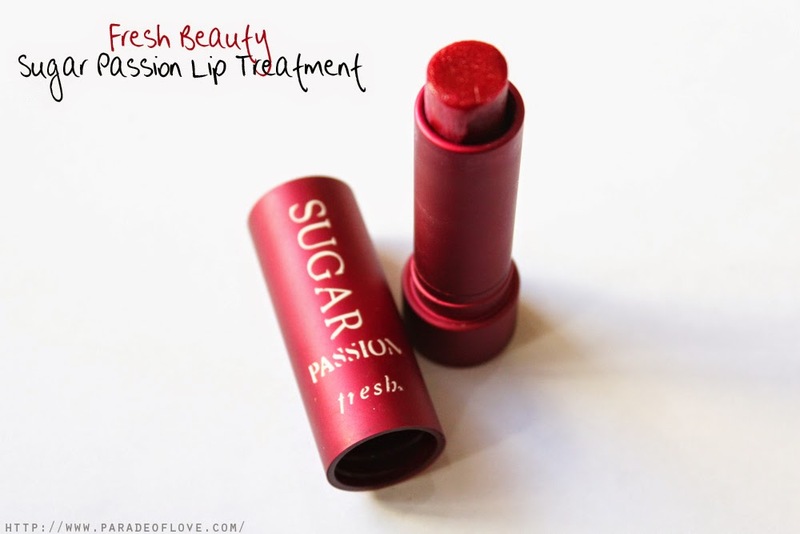 Unlike the usual long-lasting lipsticks that tend to dry out the lips, I didn’t encounter any dryness while wearing this. It’s highly raved and I can understand why. The quality of these are unimaginable until you try them out yourself. Finally, we reach the last product(s) of the year that I have very much enjoyed (and used)! 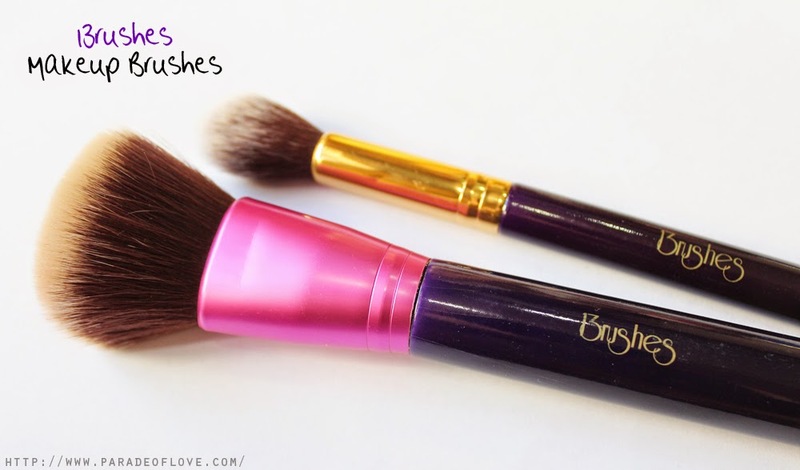 It’s the local makeup brushes brand – 13rushes! I remember my first purchase from them was the Brush Crush set of 8. I was very into cruelty-free synthetic bristles ever since I landed my hands on the Sigma Mrs Bunny Travel Kit. Now that my 13rushes collection has expanded, partly from my own purchases and partly c/o Yuhui & Charlene from 13rushes, I am proud to say that 13rushes has become my favourite makeup brushes brand! I use at least 2-3 brushes on a daily basis because they are absolutely soft and functional, especially enjoying the Tapered Highlighter, Round Powder, Flat Top Kabuki and Short Shader! Phew, such a lengthy post, but I am so glad to be sharing with you my staples for the year! With all the new Spring 2015 collections coming out soon, will some of these be swept off my stash of favourites? Find out more about my daily makeup mess and updated makeup/skincare favourites and routines on my Instagram! 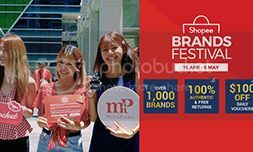 Disclaimer: Some products were sponsored by the respective brands for past reviews. The above review is based on my true and honest opinion without influence from others. It’s 2015, a new year, a new beginning! 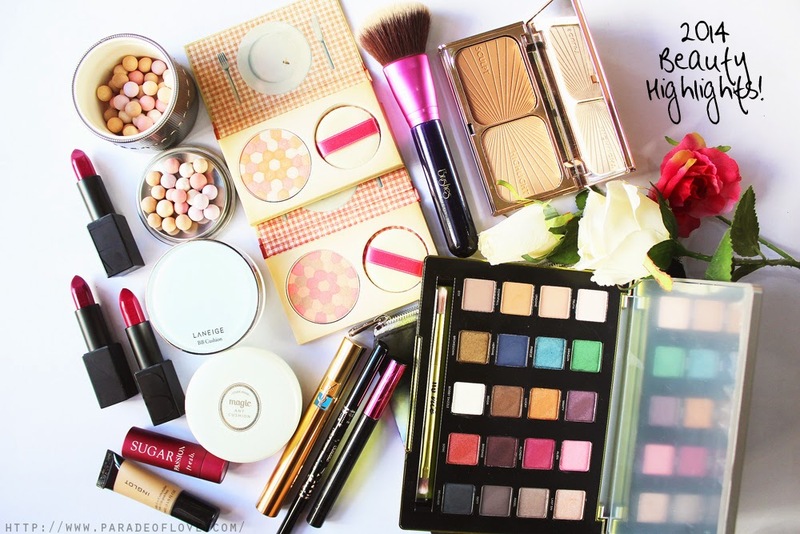 Let me start off the new year with a round up of my December beauty favourites! As you know, I have been on vacation to Aussie – Sydney and Perth – hence, most of my favourites here are mainly from my travel bag. 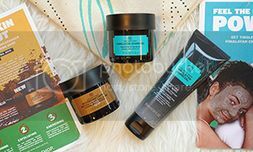 I have a fair mix of skincare, body care and makeup products to share with you, so keep reading! 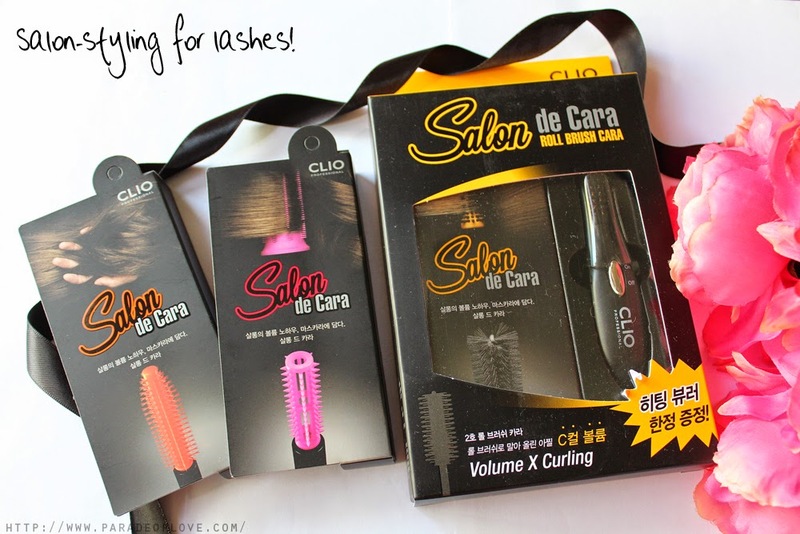 Clio, the popular Korean makeup brand endorsed by the gorgeous Sandara Park of 2NE1, recently launched the Salon de Cara mascaras – mascaras inspired by hair-styling tools to style your lashes just like how you style your hair! These mascaras have wands inspired by hair brushes, hair rollers and a hairstylist’s hands so as to stimulate salon-grade styling and treatment for your eyelashes!